Daleys Fruit Tree Blog: Jackfruit Curry for Dinner Tonight? Fruit and 3 veg anyone? 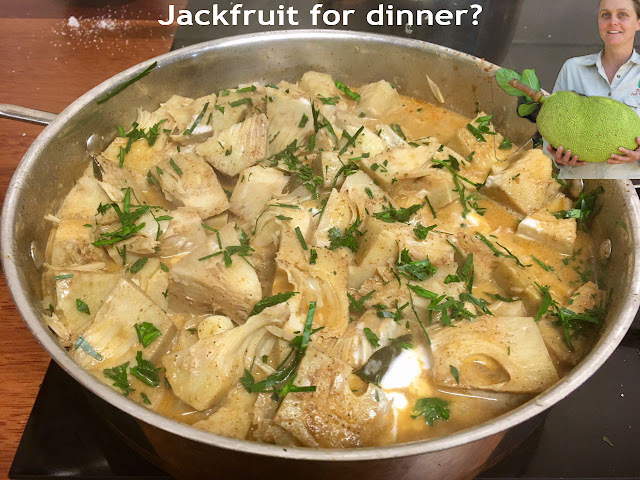 Jackfruit Curry for Dinner Tonight? Fruit and 3 veg anyone? This is our staff member Andre's Jackfruit Curry. It was cooked up only last night using a green Jackfruit. Fancy that hey, Fruit being cooked up as the main dish :) Appetising Smell, firm pleasant texture and a full flavour.